Hello and I am glad you stop by to visit Our Simple Homestead! I welcome sponsors in the form of ads and featured posts. I reserve the right to refuse any sponsor if I feel it does not stay true to the readers of this blog. I value my readers and will only feature a product I have used and can stand behind. As a professional web designer, I have a background in Search Engine Optimization and have been able to grow this blog mainly through SEO practices. In my professional career I have developed over 400 websites that have benefited by my SEO knowledge. Homemakers, homesteaders and those looking to live a simpler life. 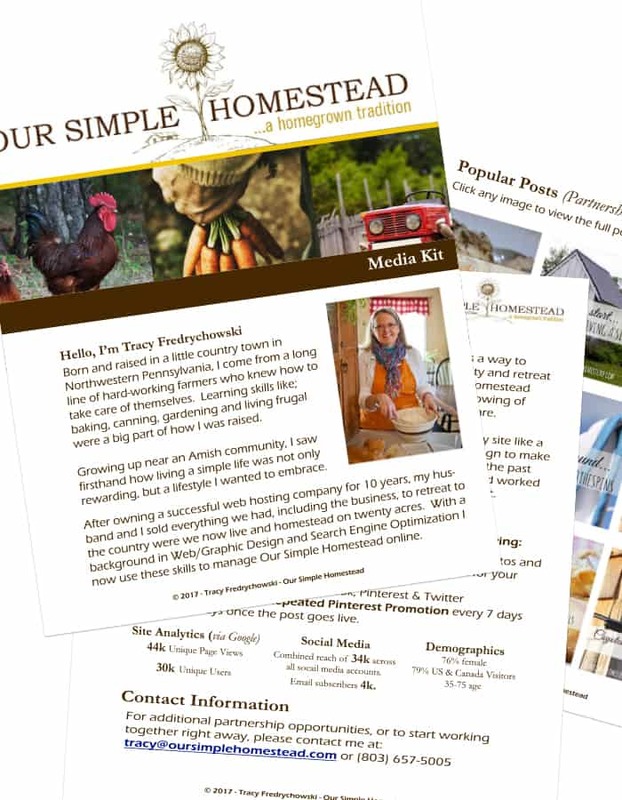 If you would like to advertise on Our Simple Homestead, you can e-mail me at [email protected]. Or if you would like me to do a sponsored post for you, you can download my media kit here.